Interested to help co-create the next version? Would you like to add your voice? 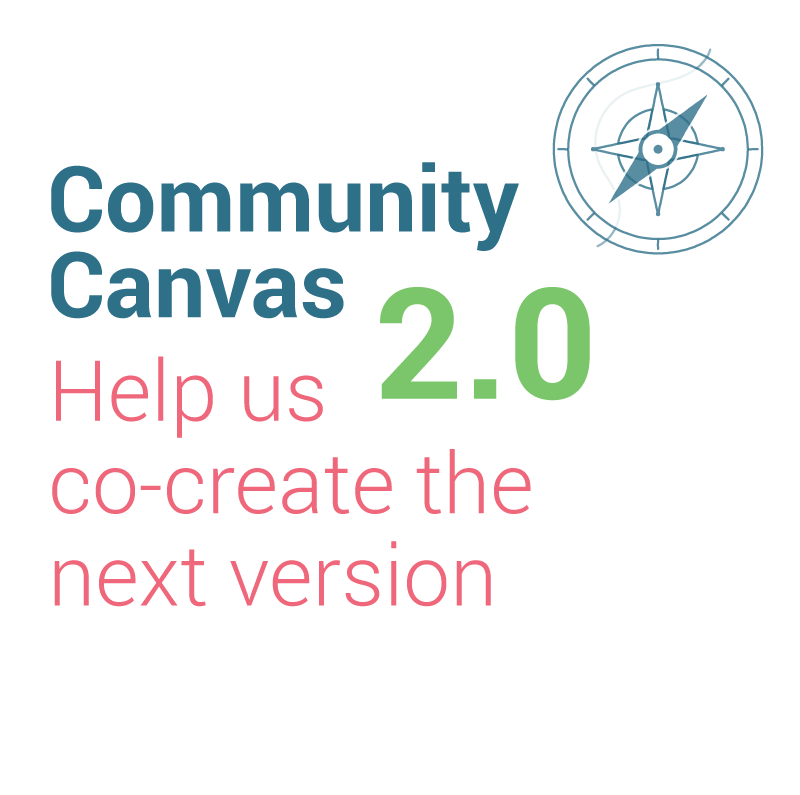 Have you used the canvas in traditional or non-traditional community contexts? Were you hesitant to use it because you felt it was not applicable to your context? We’d be so grateful to hear from you! Have 5 minutes? We’d be grateful if you could fill in the brief survey below and tell us about your experience and ideas. Have 30 minutes? We’d love to chat with you about your experience using the Canvas and how we can make it better. Please fill in the survey as well and indicate that you’d be open for a chat.